Some parking lots have double lines that delimit parking spaces. This gives a properly-parked driver comfort that his (or her) door will not be bashed by another parker who pays attention to lines. 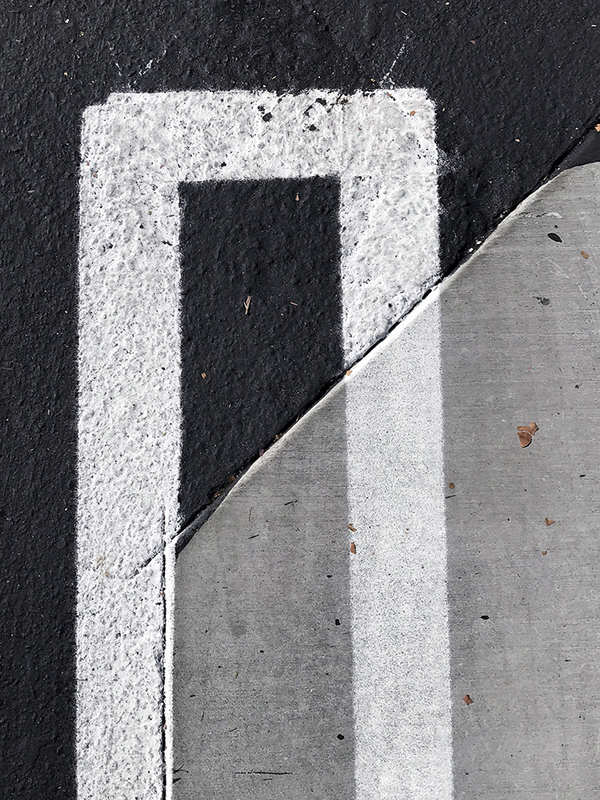 The white line with the hairpin turn in the photo below, lies on two different substrates: asphalt and concrete. The composition is a perfect combination of black, grey and white. This entry was posted in Personal Stories and tagged abstract art, black and white, creativity, editing, found art, range of tonal values, street photography, tonal values, visual arts, watercolor. Bookmark the permalink. Thanks, K! A bit of organic matter into the pavement white-to-black mix.